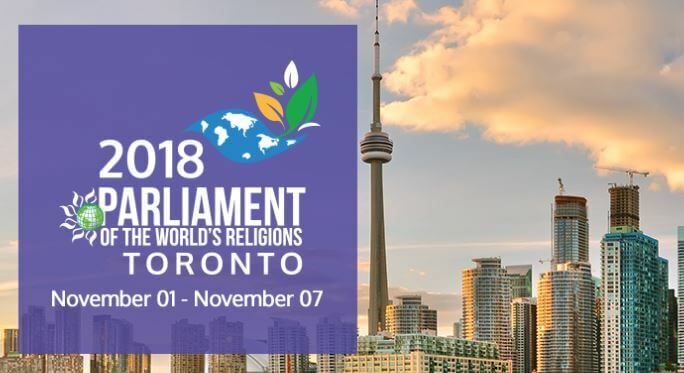 The seventh Parliament of the World’s Religions, the oldest, largest, most diverse and inclusive global interfaith event, was held in Toronto, Ontario, Canada, between 1 November and 7 November, 2018. The conference, which was themed, “The Promise of Inclusion, the Power of Love: Pursuing Global Understanding, Reconciliation, and Change,” was attended by over 10,000 people of faith and conscience from 80 different nations, and featured over 500 programs and events. Islamophobia is on the rise. The Council for American-Islamic relations recorded a 17 percent increase in incidents of anti-Muslim bias in the US in 2017 over 2016, much of it undoubtedly due to the climate of fear created by the Trump administration. This was accompanied by a 15 percent increase in hate crimes targeting U.S. Muslims, including children, youth, and families, over the same period. As for 2018, CAIR’s quarterly report indicates that anti-Muslim bias incidents and hate crimes in the second quarter were up 83 and 21 percent respectively over the first quarter of this year. Internationally as well, the persecution of Muslims is increasing, as witness the attacks against the Rohingya Muslims in Myanmar, as well as the massacre of Muslims by Christian militias in the Central African Republic. For an individual or group in dire need to ask for help from another is humbling; it wounds our pride, even our legitimate pride. Those willing to risk the wounds of battle may still be reluctant to receive this wound, no matter how necessary it may finally prove to be—especially if we are of the unfortunate opinion that our pride is all we have. Those who know Allah, however, know that as pride weakens, faith and courage grow stronger—and also that to move beyond our pride is not to abandon that pride, but simply to transfer it to a greater and more worthy Object. As a Sufi poet once wrote: “Everyone is proud of someone, and we are proud of God! To ask for help is go into debt, which means that only those who are willing to recognize that debt, and who also have faith that full repayment can be made, will risk incurring it. Our faith that all debts will ultimately be satisfied comes from the Quranic verse Allah is the Rich, and ye are the poor. Our Patron is generous and possessed of vast resources, and if our very existence, even to the actual number of our breaths, are a free gift from Him, then He will certainly pay all our lesser debts—if, that is, we are willing to recognize our intrinsic poverty and our nothingness without Him.